French cuisine is renowned around the world for its delicious flavours and sauces. However, tasting French cuisine in its home city is an experience not to be missed. 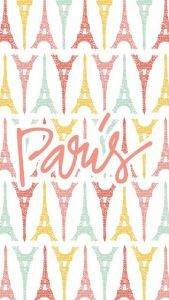 Here is a list of the top five restaurants in Paris that you should visit during your stay there. 1. 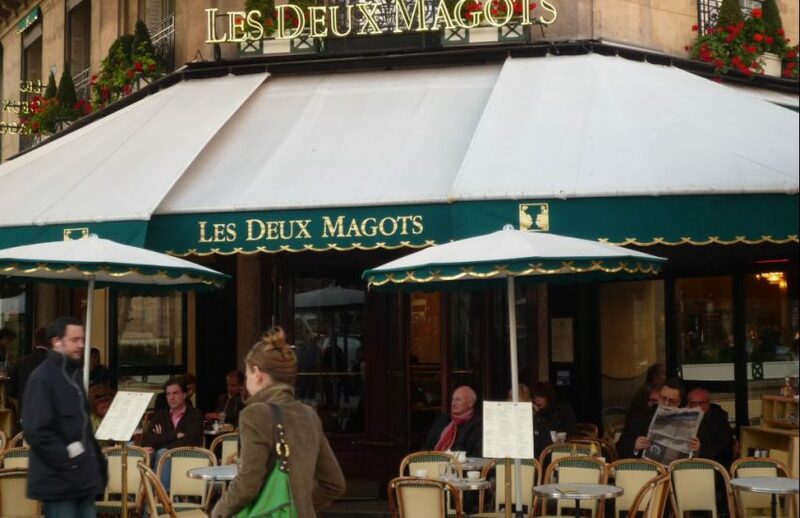 The Cafe les Deux Magots, at 6, Place St Germain-des-Pres, has been a favourite eatery with French writers for generations. 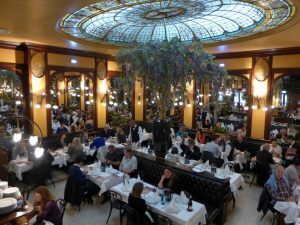 Hemingway, Simone de Beauvoir and Sartre are said to have eaten here. The delicious cuisine is prepared from locally-procured ingredients. This is an excellent little bistro to visit and you can even sit at sidewalk tables, where tourists and locals alike sip espresso or a fine vintage and watch the world go by. 2. Bofinger is a renowned brasserie in the rue de la Bastille, and is only a short distance from the infamous prison and museum.Best known for its seafood, and choucroute (Alsatian sauerkraut and sausage), it has an equally amazing beer menu, replete with ales, pilsners, stouts and bitters produced locally and around the world. 3. L’Astrance, located in the trendy 16th arrondissement, opened just nine years ago but has already won two Michelin stars. It offers a prix-fixe (fixed price) dinner at 150 euros per person and up to 12 courses. Both the unique dishes and the wine list, with a wide range of vintages included, are well worth the investment of both funds and time. 4. Dinner on the Eiffel Tower is as spectacular as the view at Altitude 95. 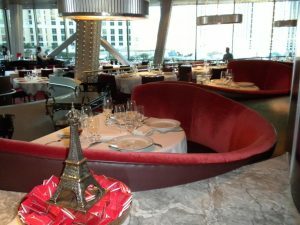 Tucked in on the Eiffel Tower’s 95-meter level, Altitude 95 serves traditional French cuisine, superbly cooked and delicately sauced, with a well-balanced wine list. $200 (US) for two will ensure a memorable evening. Cameras are also allowed here. 5. Chez Gladines has one of Paris’ heartiest menus, at excellent prices. In the13th arrondissement, immense salads and simple, filling foods are Chez Gladines’ most popular dishes. A full menu of starters, main courses, and dessert with wine will cost up to 15 euros per person.